A wind of change or pathetic illusion? The Republic of Moldova on 29 July will hold new parliamentary elections. Despite the opposition leaders' demand not to hold elections in the summer but to postpone them until the autumn, the communist authorities decided to organise the elections as soon as possible and even set them in the middle of the week, on a Wednesday. The midweek election day is unusual for the Republic of Moldova, as all previous elections were on Sundays. The opposition suspects the Party of Communists changed the election day in an attempt to reduce voter turnout and to exclude from the electoral process young voters and those living in other countries who are mostly anticommunist. Many young people are out of the country for the summer, while others will not be able to vote easily, because, according to the existing rules, the students are registered and legally obliged to vote on the campuses where they study. However, most students have left for their homes during the summer; thus, they will have difficulty in voting. Furthermore, the Moldovans that work outside of the country will have difficulties in voting because the elections will be held on a working day. In addition, to avoid the possibility of having the summer elections declared invalid because of not reaching the participation threshold of 50% plus one of the total registered voters; just before dissolving, the parliament reduced the condition for valid elections to a participation threshold of one third of total registered voters. 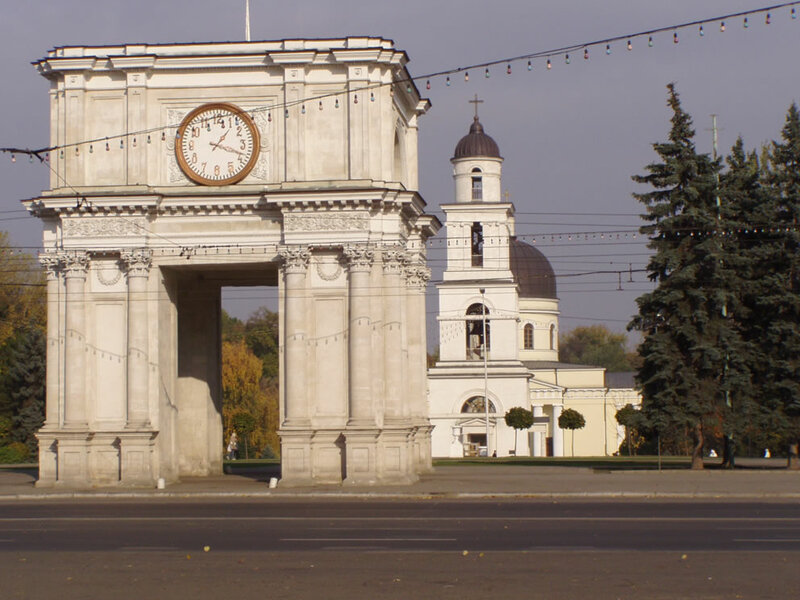 Dirty electoral campaigns are no news for the Republic of Moldova; nonetheless, the violent events of 7 April have brought a new level of "black public relations". The Party of Communists based their entire electoral campaign only on the accusation that the opposition supported an attempted coup de d'état. The key message of the communists is the need to defend the mother county. Furthermore, Vladimir Voronin, the acting president and the leader of the Party of Communists, has recently declared, "The opposition is guided by criminal elements" and accused them of seeking to destroy the independence of the Republic of Moldova. However, the main liberal opposition parties - Liberal Party, Liberal-Democrat Party and Our Moldova Party - blame the Communists of orchestrating a violent provocation in order to divert the attention from the alleged frauds committed during April's elections. All of the main electoral competitors speculate on the source of the violence on 7 April. So far, the different parties have made four documentaries with different interpretations of the events. Additionally, as the campaign continues, new facts emerge over the abuses committed by the police following the devastation of the presidential palace and parliament building; inevitably different political actors attempt to use these facts for political advantage. The authorities have been forced to recognise, after a new autopsy made with the participation of an international expert, that Valeriu Boboc, one of the victims on 7 April, died because of police beating during his detention. Going into new elections the Party of Communists has received a significant political blow, as the former speaker of the parliament, Marian Lupu, declared his disagreement with the party's official line of polarising the society based on the 7 April events and announced his departure from the Party of Communists. Marian Lupu has joined the Democrat Party of Moldova - a social-democratic oriented party - and now could attract voters from the communist electorate. Many political analysts see the former speaker's new political status as the opposition's only real chance to win over the ruling Party of Communists. As the communists and liberals are exchanging excessive blows, the Democrat Party of Moldova is trying to have a more moderate position emphasising the need to stop the ongoing political war. In the last few months, the Republic of Moldova has seen more controversy and violence than during its entire 18 years of independence. The parliamentary elections held on 5 April, instead of legitimising the parliament and government, have released the entire frustrations accumulated during the communist party's governance since 2001. Alleged electoral frauds committed by the Party of Communists resulted in massive street protests on 7 April that ended with the violent attacks on the presidential palace and the parliament building. Because of communist control over the judicial system, the opposition could not demonstrate that fraud was committed; thus, they used the only available way of provoking new elections: not voting in the newly convened parliament for the election of president of the Republic of Moldova. After twice failing to elect the president on 15 June, the acting President, Vladimir Voronin, dissolved the parliament and declared new parliamentary elections.